Few words are only enough to describe a perfect dish. Like KORMA this name only gives your dish a nice attraction. 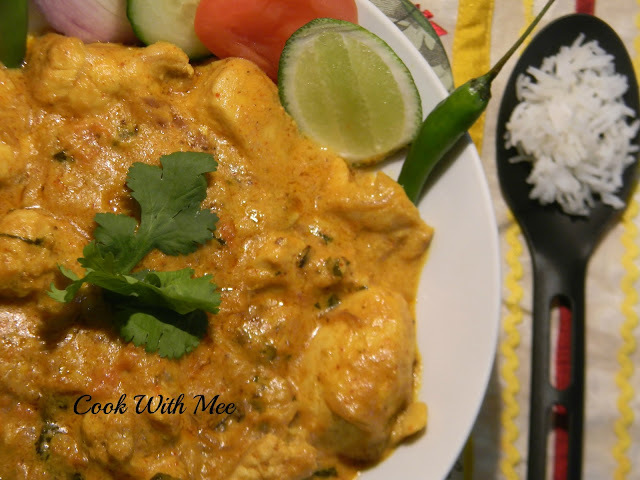 Previously I posted EGG KORMA AND FISH KORMA but I never prepared CHICKEN KORMA before. So I thought let the series get completed - EGG FISH CHICKEN the KORMAs entire are on my list now. 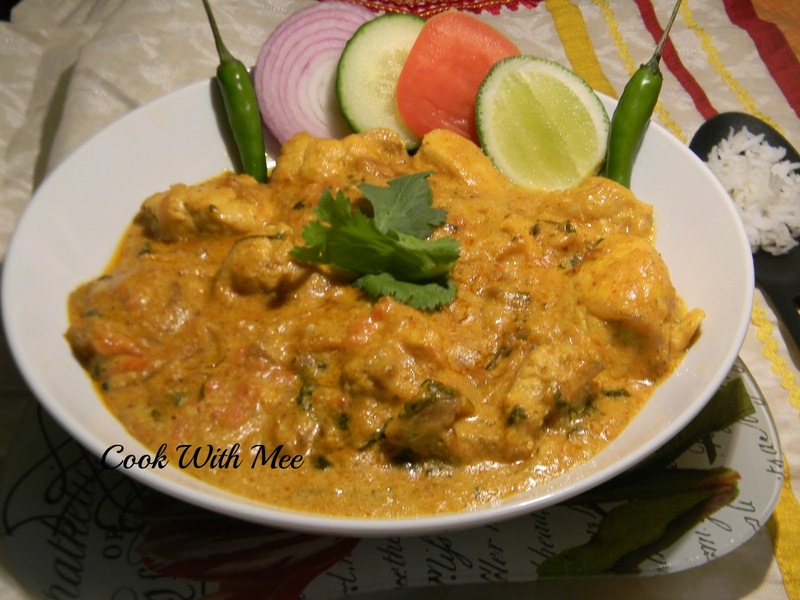 CHICKEN KORMA is a North Indian dish especially in this dish they use lots of fresh curd. And the gravy is thick and creamy. We enjoyed our last night dinner with CHICKEN KORMA and homemade ROTI. 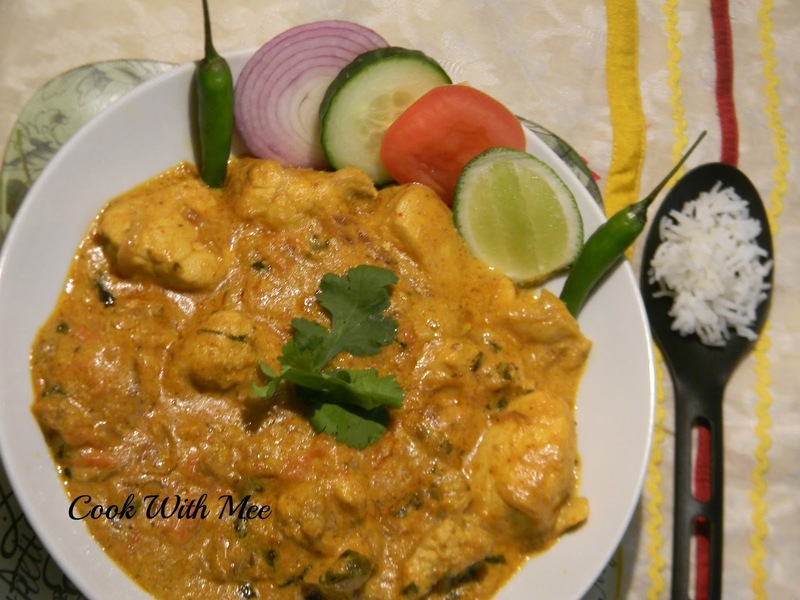 A easy preparation but this dish definitely satisfies your taste buds. 1.Boneless Chicken : 500 gm. 2.One medium size sliced onion. 4. One tea spoon ginger and garlic paste. 6.Few cashew nuts. Few almonds. 7.One tea spoon poppy seeds. 9.Turmeric powder, Red chili powder, Coriander powder (half tea spoon of each item). 10.Pinch of garam masala powder. Wash and clean the chicken now marinate the chicken pieces with ghee, salt red chili and coriander powder for 2 to 4 hr. (better to marinate overnight). Now add some oil in a vessel and add the sliced onions and tomato and fry till the onions are become brown. Now remove from heat and make a smooth paste, add the curd into the fried onion mixture. Now make a paste with cashew nuts, almonds, poppy seeds and shah jeera with some water and keep it aside. Now add some more oil in the vessel and add the clove cardamom and cinnamon stick now add the marinated chicken pieces and stir for some time in high heat. Now add the curd onion mixture, turmeric powder some salt and sugar, mix well. Cook for some time with a lid, now remove the lid and some warm water and cook in low heat till the oil come out. Now add the cashew+almond+poppy seeds+shah jeera paste and mix nicely. Add some more water and cook for 3 to 4 mints with lid. Now remove the lid and add the garam masala powder and few drops of ghee(optional). 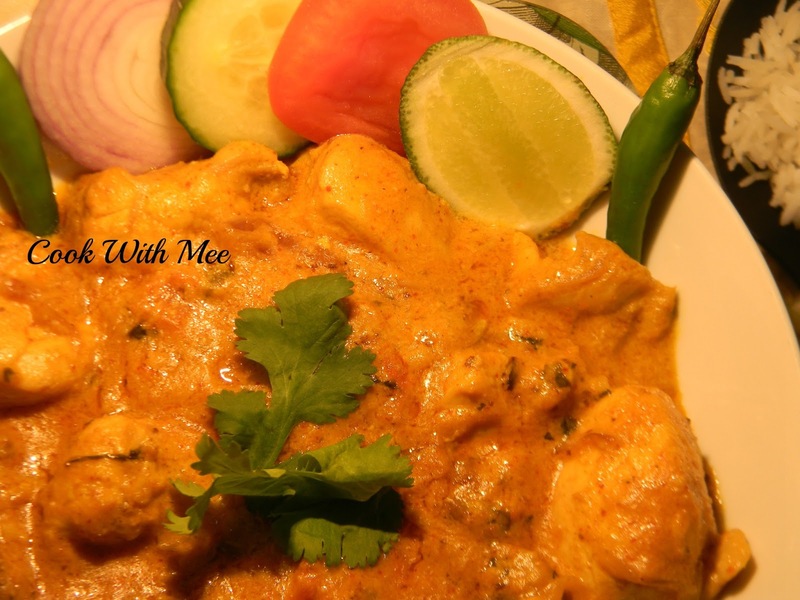 Your CHICKEN KORMA is ready serve hot with ROTI OR RICE.